We’ll say it again: At home, we’re suckers for greenery. But green is just the beginning, because the right potted plant can also impart anything from zebra prints to pink polka dots. Displayed alongside your favorite framed print, leafy varietals flourish with patterned leaves that grow like brushstrokes, while others sport speckled, tricolor leaves like a Jackson Pollock painting. While we’re all feeling lush this white winter (*fingers crossed*), we asked a few brilliant botanists to share their favorite patterned and color-popping plants that help bring texture and color home — along with a few tips for keeping them healthy and bright during the cold season ahead. At Washington, D.C.’s Little Leaf Shop (one of the prettiest plant shops in the world), this season brings the watermelon peperomia. The short, low-maintenance tropical plant is nicknamed for its patterned leaves, which vibe with a watermelon’s skin. It’s a sweet pattern, but it gets deeper: Maroon stems add contrast to the light green leaves. 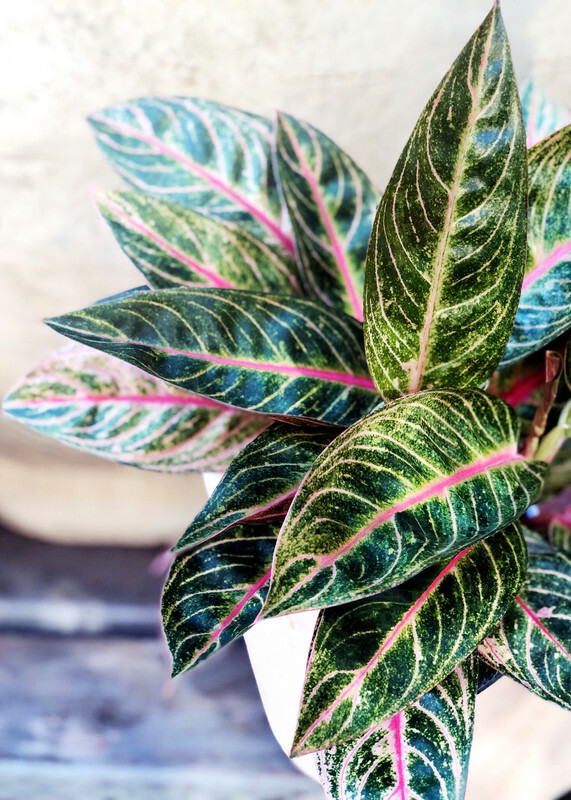 “The dramatic variegation in the leaves makes this funky plant the perfect addition to your home jungle,” says Little Leaf’s Nicole Laemers. “Winter can be a tricky time for plants because the days are shorter, and therefore, they’re receiving less light. As a general rule of thumb, less sun equals less water, and more sun equals more water. Be sure to adjust your watering schedule accordingly by cutting back during the winter months,” explains Laemers. Look for plants with a fabulous flipside. 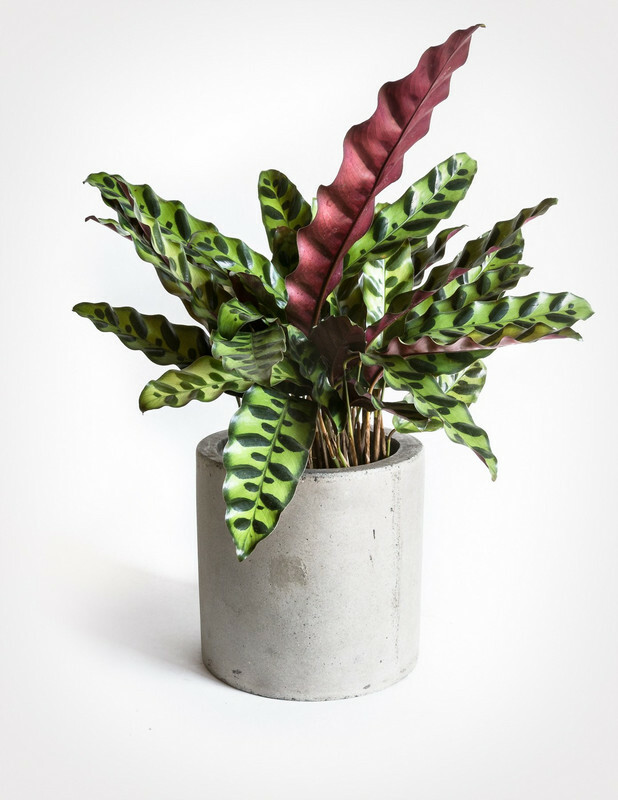 In Portland, Oregon, Pistils Nursery turns to the rattlesnake plant. Its long and wavy bright green leaves not only embrace a wild pattern — dabs of dark green ovals alternate down the middle — but the underside of each leaf offers a glimpse of rich purple. Especially during winter, with heaters on high and fireplaces burning, our houses collect a lot of dust. This tends to accumulate on the leaves of your plants, which can lead to them looking dull. If this goes on for too long, the plant will actually have trouble photosynthesizing, which can lead to much bigger problems down the line. The solution is to gently clean your plant when you notice the dust building up. 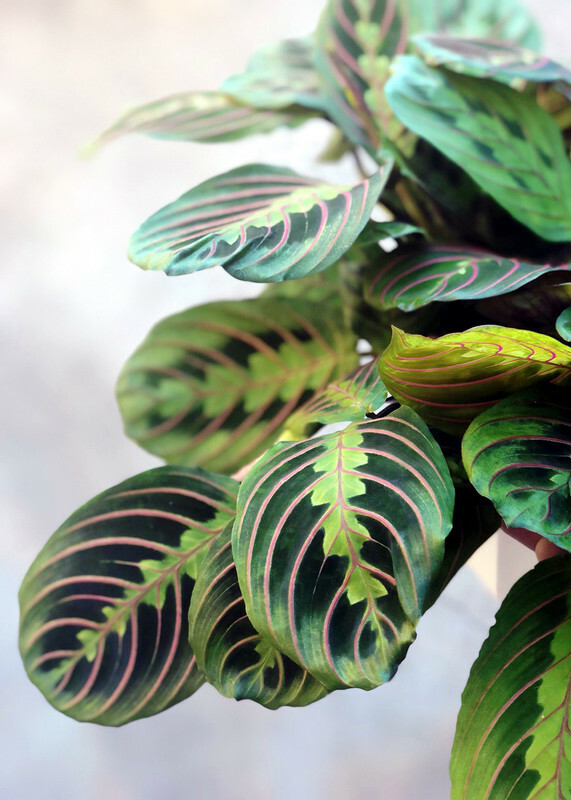 The easiest way to clean the leaves of your calathea is to dampen a soft cloth or paper towel and gently wipe away dust from each leaf with one hand while supporting the underside of the leaf with your other hand,” says Jesse Waldman of Pistils Nursery. 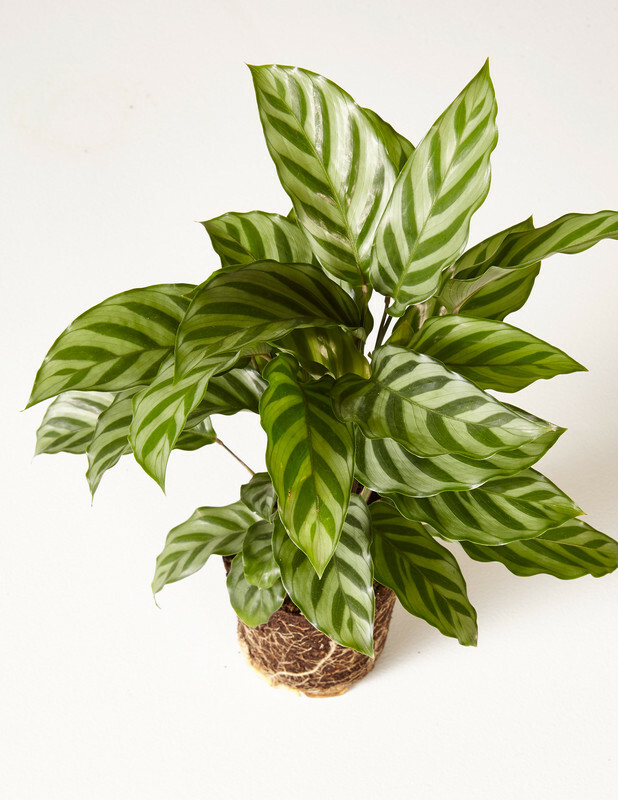 More tame than wild, this different variety of the calathea is classic, with long, striped leaves. Known as the Freddie, it’s an artsy variety — the stripes look like brush strokes. 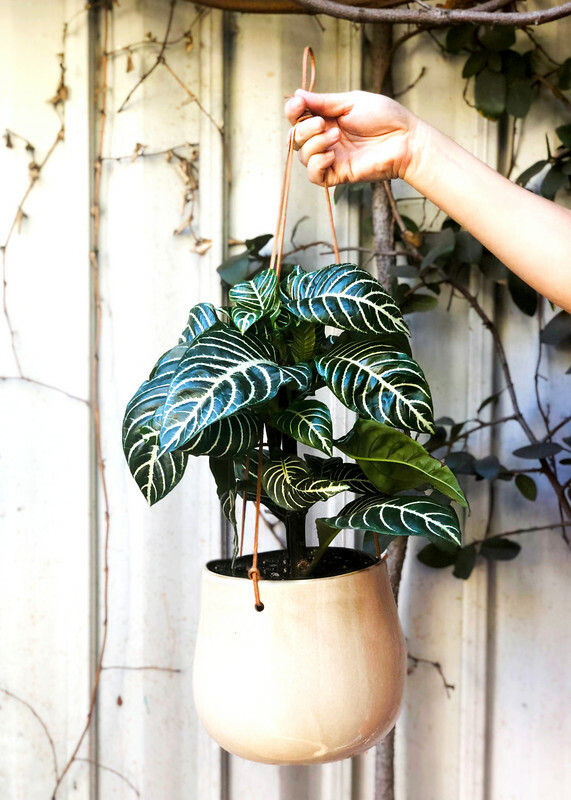 “Calatheas generally prefer normal to slightly higher than normal humidity, so keep this fella away from heating units: They tend to dry out the air around them,” says Erin Marino of The Sill. Instead of brush strokes, Los Angeles’ Rolling Green Nursery recommends bold stripes. 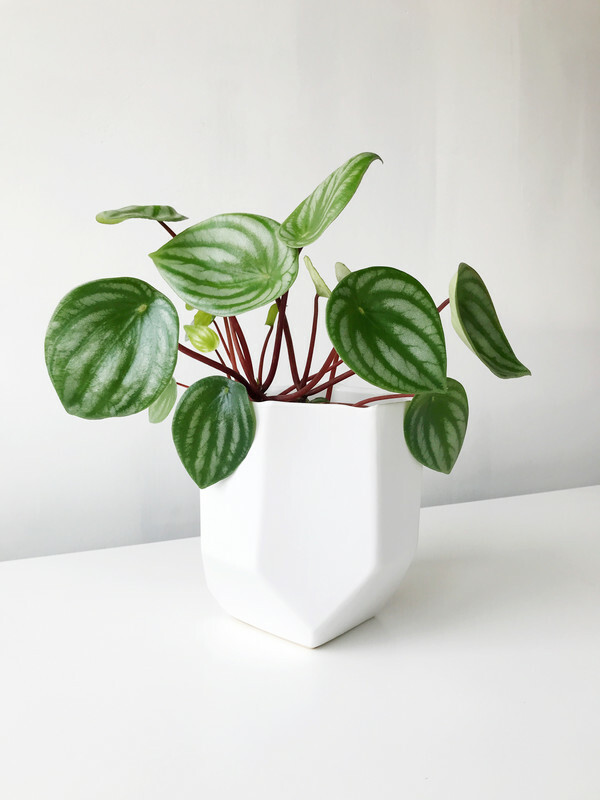 The aptly monikered zebra plant has dark, waxy green leaves that contrast with thick white stripes that are sure to stand out — yes, like a zebra. Keep this plant around for summer, when a bright yellow flower blossoms from the center and tops it off like a crown — basically, the king of your indoor jungle. “It needs less water in winter, so make sure to check if the soil is dry 1 inch down before watering it. If it’s not dry, do not water. Move it closer to a light source, as indoor lighting changes in winter. Keep a close eye on it, and you will see it reaching for the light. Try to turn it every now and then so that all sides of the plant gets even light,” says Raychel Walton of Rolling Green Nursery. Sticking with stripes? 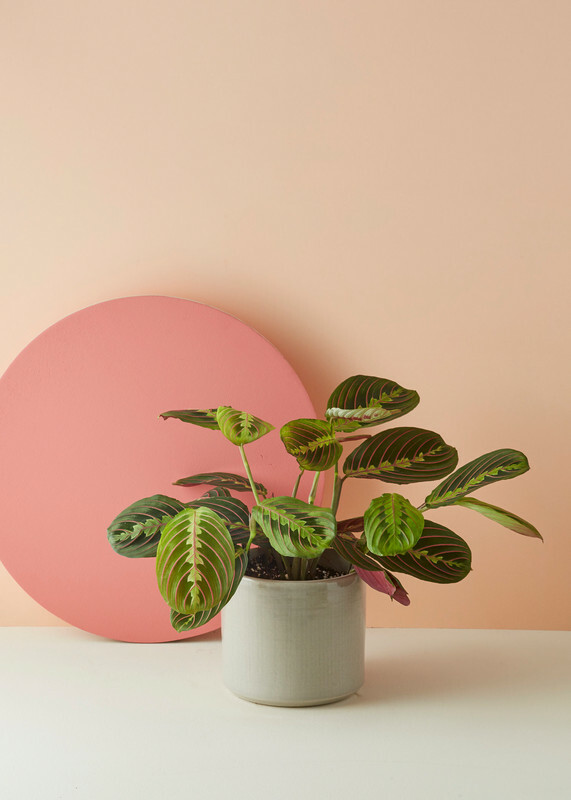 At London’s Geo-Fleur, the prayer plant is a close relative of the calathea. It’s pretty in pink, and according to Geo-Fleur, slightly less temperamental. Its plump leaves have watery strokes of light green, all elegantly stenciled with soft pink lines. At Rolling Green Nursery, pink isn’t just for prayer plants. 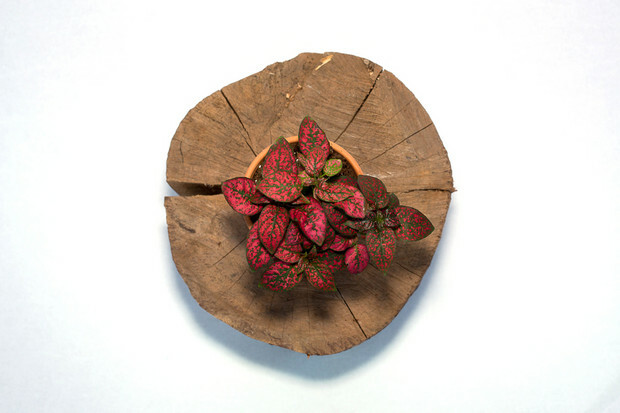 The Los Angeles-based nursery recommends the red aglaonema as an alternative pick. Its dark green leaves often have a hot pink vein down the middle and are often ringed with red tints for another pop of seasonal color. My favorite way to add a splash of color in the dead of winter is with the red polka dot,” says Kate Fogler of Brooklyn Plantology. This plant isn’t always so red — a different variety is speckled white — but its mottled leaves bring both pattern and a splash of color in one. The polka dot is very easy to care for — water when the soil is dry (once or twice a week), and keep it in a bright spot with indirect light. It likes high humidity, so you might find the best results in your bathroom or kitchen window,” says Fogler. No shrinking violet, this member of the saintpaulias genus throws shades of pinks and purples well into the winter — all surrounded by plump, dark green leaves. 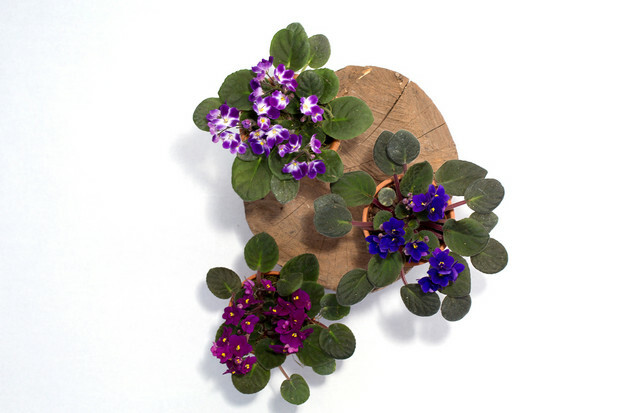 “To care for the violet, just clip off the flowers as they wither and water the saucer under the pot. The roots will pull up moisture as needed,” explains Fogler.